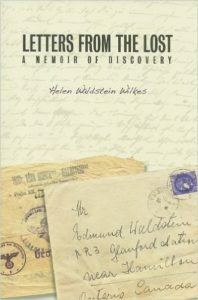 Helen Waldstein Wilkes is the author of Letters from the Lost: A Memoir of Discovery, a compelling book that brings to life attitudes and assumptions in both pre-war Europe and in Canada. Helen connects past and present as she probes beneath the surface of her own life and that of the norms and values that shaped her reality. 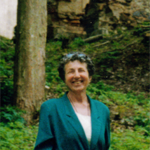 Born in Czechoslovakia, educated in Canada and in the U.S (Ph.D. in Renaissance French literature); Helen spent 30 years teaching and developing research interests that include cross-cultural understanding, language acquisition, and neurolinguistics. Now retired, she lives in Vancouver where she is affiliated with Or Shalom Synagogue. Although much in demand as a public speaker on topics related to her book, Helen continues to spend time examining her own cultural inheritance and its impact. 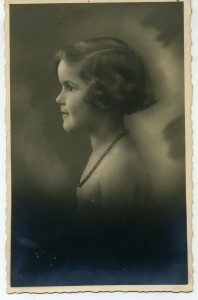 On March 15, 1939, Helen Waldstein’s father snatched his stamped exit visa from a distracted clerk to escape from Prague with his wife and child. As the Nazis closed in on war-torn Czechoslovakia, only letters could reach Canada through the barriers of conflict. The Waldstein family received these letters as they made their lives on a southern Ontario farm where they learned to be Canadian and to forget their Jewish roots. When Helen first read these letters as a mature adult, it changed everything. As her past refused to keep silent, she followed the trail of the letters back to Europe where she discovered living witnesses who could attest to the letters’ contents. She has here interwoven their stories and her own into a compelling narrative of suffering, survivor guilt, and overcoming inter-generational obstacles when exploring a traumatic past. Letters from the Lost has already been nominated for five book awards. As author, Helen Waldstein Wilkes has given numerous presentations to audiences ranging from book clubs to large auditoriums filled people. Her powerful impact as a public speaker along with the relevance of the book’s subject matter is garnering rave reviews. Letters From the Lost is the winner of the 2011 Edna Stabler Award for Creative Non-Fiction, the only award of its kind offered in Canada. The award was established by writer and literary journalist Edna Staebler to provide encouragement and recognition to a Canadian writer of a first or second published book, and the award is administered by the Faculty of Arts, Wilfred Laurier University. At age 60, Waldstein Wilkes opens a small box that was left by her father in their southern Ontario home. The box holds “letters from the lost” – letters from family members left behind in Nazi-occupied Czechoslovakia. The author follows the letters’ trail back to Europe to discover that “the lost” – homeland, past and family – are part of her self. Letters from the Lost weaves letters, imaginary conversations and one woman’s search for answers into a compelling narrative of what it means to be a Jew, a survivor and a family member without a family. For more information, please visit the Wilfred Laurier University website. Letters from the Lost: A Memoir of Discovery received the Alberta Readers Choice Award 2011. It is awarded through popular vote, and among its champions was Sharon Budnarchuk, owner of Audrey’s Books in Edmonton who wrote as follows: We all need to read this book to remind ourselves that the victims of horrors which continue today are made up of people like us: children, grandparents, brothers and sisters, cousins and friends, who all deserve better in the name of humanity. For more information, please visit the Alberta Reader’s Choice website.